Virtual Concierge Services 24 hours a day. 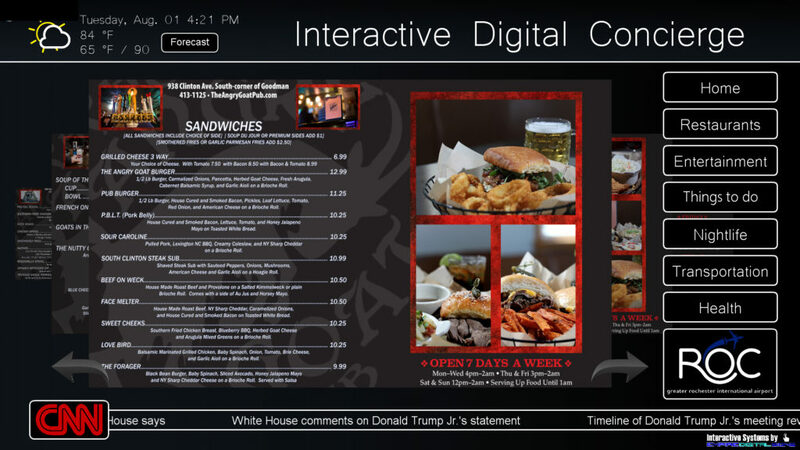 The Interactive Digital Concierge Boards provide visitors with a virtual concierge service available 24 hours a day. Guests will have access to information regarding local restaurants, events, sports and transportation without the need to speak with a desk attendant. It serves as a highly useful tool to guests and can even be utilized as a digital advertising platform for you. 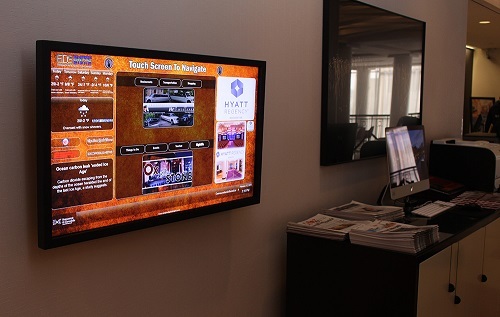 Hockey rinks that host travel teams, convention centers, shopping malls, sports arenas, tourist attractions and concert venues are only a few examples of areas that can benefit from an interactive concierge board. Venues that experience an influx of out-of-town guests, or even want to advertise things to do to current residents can utilize this product in any way imaginable. Our team will work with you to create the user interface that best fits your organization’s needs. 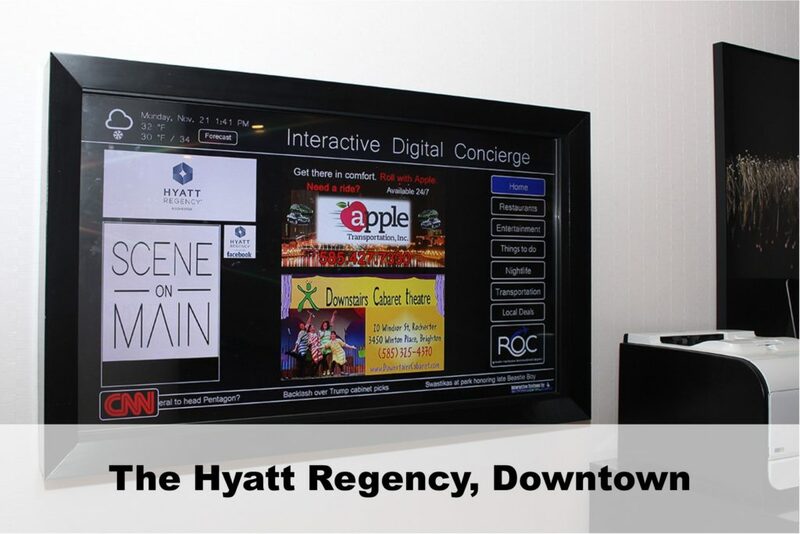 It’s possible to utilize a concierge board as an advertising platform by allowing local businesses to purchase space on the screen. Businesses are always looking for ways to locate incremental business and you can provide them with this opportunity! 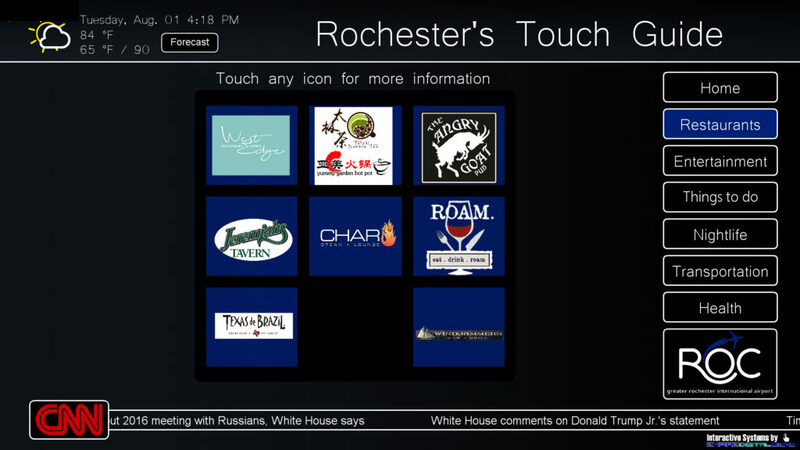 Empire Digital Signs has utilized this concept in Rochester, NY.